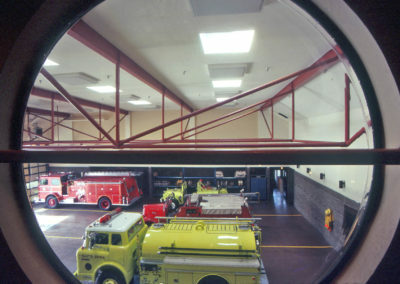 City of Santa Rosa Public Safety Building is a two phase project. 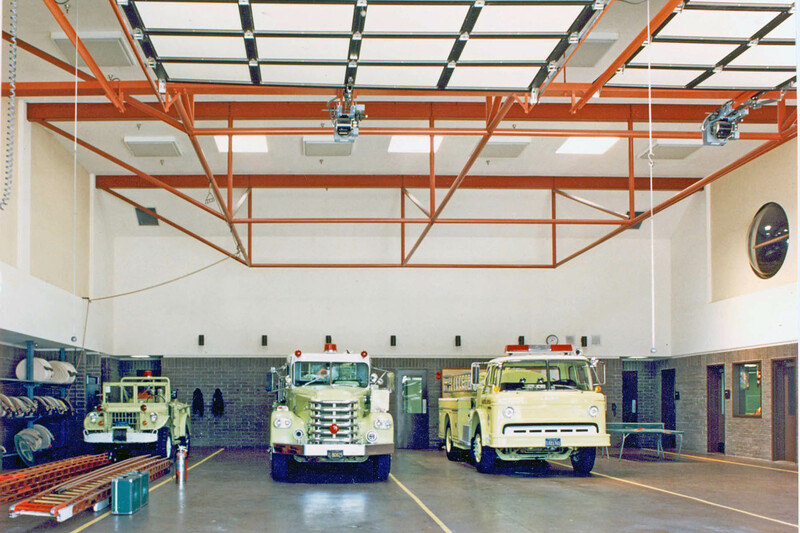 Phase 1 included the 13,000 sf central fire station. Phase 2 consisted of the police headquarters with 40,000 square feet of area. 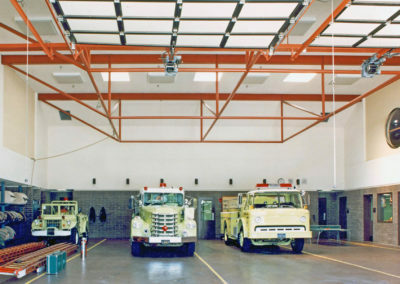 Fire Department, staffed by paid fire personnel, includes administration, fire prevention, fire investigation, turnout lockers, dormitories, dayroom, kitchen and dining, tool and repair room, equipment storage, SCBA room, and a four double-deep apparatus bays. Police Department includes administration, vice/narcotics, juvenile services, and adult investigations departments in separate suites; dispatch, CAD and radio equipment with a separate dispatch staff lounge; training room/E.O.C; community relations; exercise/fitness; patrol area with men’s and women’s lockers, briefing room, watch commander and sergeant offices, report writing, traffic and evidence bag and tag area. Detention includes a two-car sallyport; eight Type I detention cells; three interview rooms; booking area and prisoner property storage. The Evidence and Property Storage area has an adjacent criminal laboratory and photo lab. Additional storage is provided for active records, inactive records, inactive property storage and inactive lost and found. Associated site work includes hose rack, fueling facilities, parking and landscaping. 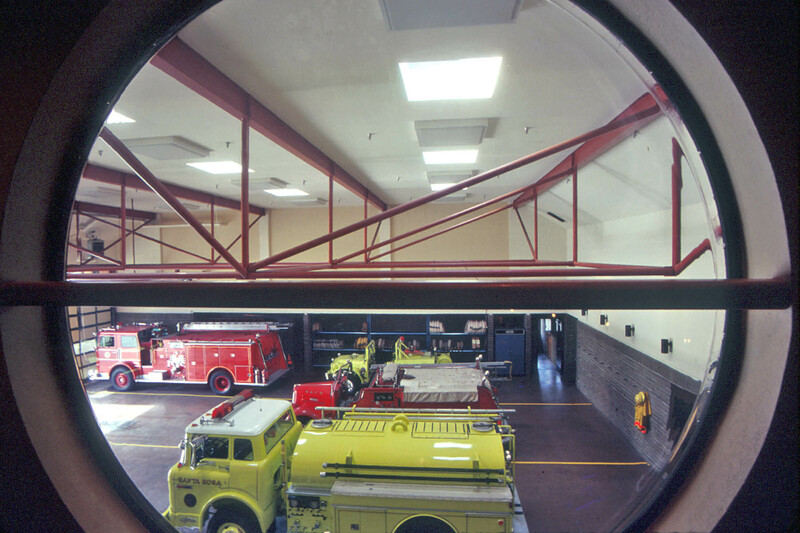 Glass Architects subsequently provided tenant improvement services for the expansion of the Investigation Services and remodeling of the Field Services areas, as the original design provided shell space for future expansion.